Each student has a unique character. Appraising a student should be compared with the student’s effort the previous week, not with other students’ effort. It’s impossible to expect our Ss to manage aspects of our lessons in the same way. Kawahara-Sensei makes reference to “students’ effort”. In the classroom I very often try to incorporate activities that have students be recognized for the effort they make, regardless of the outcome. The video below is an example. The activity is inspired by LW Bk3 pg24. The students had not yet seen this page; it was an introductory lesson to it. 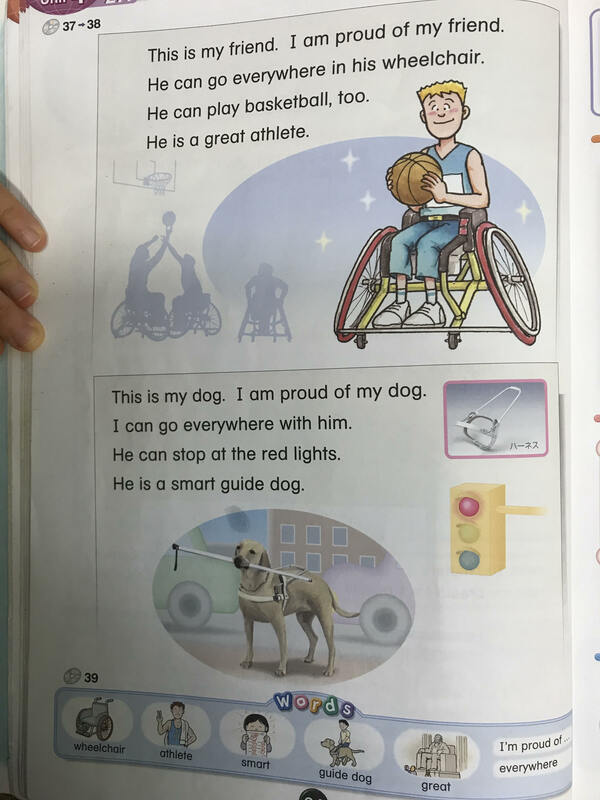 The page was photocopied (one for each student) and the English was cut up into individual sentences. The students needed to read each of the sentences and put them together to make two stories. The resulting stories were not necessarily the same as the textbook but each warranted merit because there was possibility within each one, and each was based on individual effort. After the completion of the activity, textbooks were opened and students compared their story to that of pg24. Students are the ones who need to use English, not just the teacher. Teachers need to create an atmosphere where kids can speak in English without hesitating to make mistakes. If they cannot use English in the classroom, neither will they use it outside the classroom. What a shame that something so obvious needs to be pointed out. And it needs very much to be pointed out because sadly, the majority of English teachers in Japan are not clear on what “using English” actually is. In classrooms all over this wonderful country, students of English are “saying” English in the form of textbook dialogues, chants, speeches, vocabulary lists and reading passages. Many students indeed, having successfully memorized it, can produce this English without looking at its written form. Their teachers are usually pleased with their students’ performance of this English, and the students score highly on the speaking component of their assessment. This however is not using English. In the classroom, students who say the English of their textbooks, or who repeat after their teacher are in a process of “practicing” English. This is totally different to the process of “using” English. People use language when they produce what they want to say, or what they need to say, or is in accordance with the situation they find themselves in and is relevant to the people they are talking with. 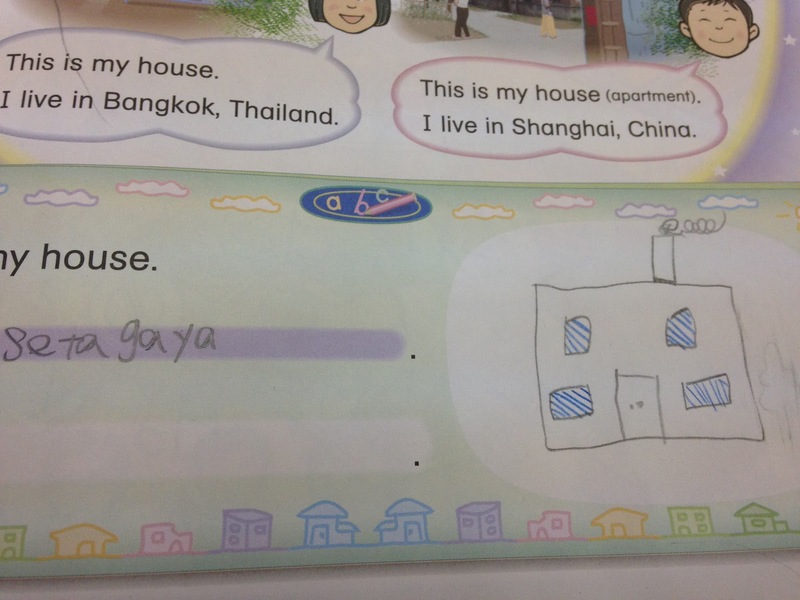 Unfortunately, these conditions rarely exist for Japanese students in the language classroom. 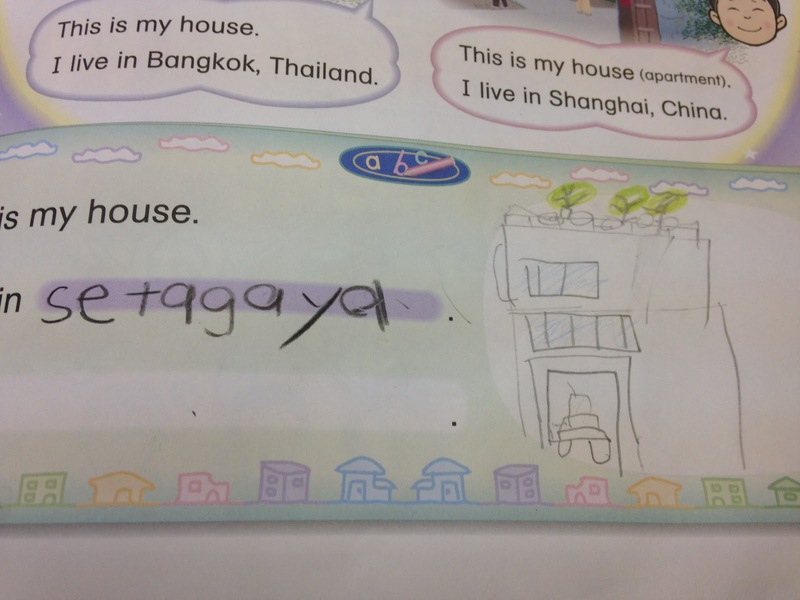 For too long Japan has used Japanese to teach students English they cannot use. 2. students are placed in situations that require them to speak. 3. teachers accept and show appreciation of students’ ideas and efforts. 4. teachers don’t over-correct students’ efforts. 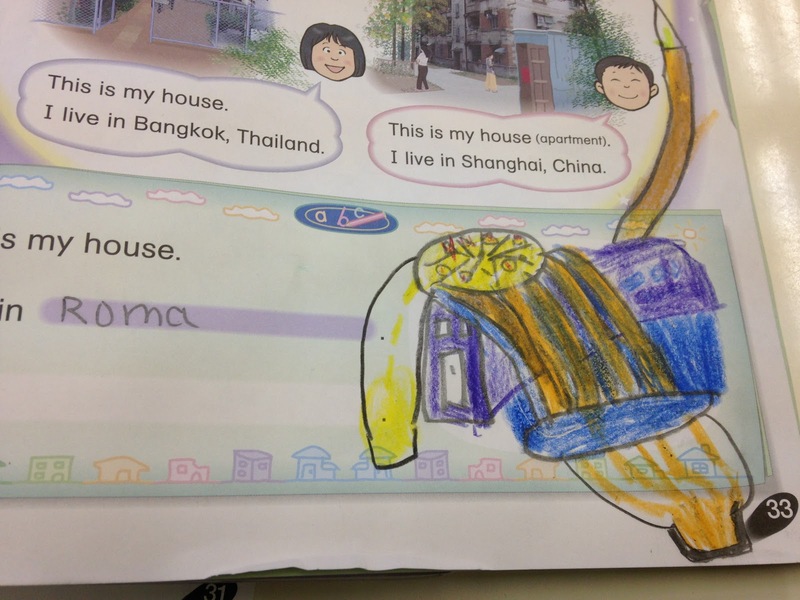 Below is a short video example of students using English during an arts & craft activity. The two students are upper elementary school students, and studying with LW Bk3. Most of the expressions they use in this video have been inputed throughout the year(s), during classroom situations that have specifically needed them. Your students, and my students, will not be in our classrooms forever. Eventually they will be required to use English outside the classroom. Having them use English NOW will go a long way to having them succeed with the language in the future. It took me a good minute to stop laughing. Children often show comical brilliance that professional comedians would die for. But actually even before that student’s reaction, I was already feeling somewhat uncomfortable with my colleague’s remark. “You know in France, people eat snails”. He was clearly referring to the dish “Escargots” and understandably using the main ingredient (snails) for simplicity, but it was the “In France, people…” part that bothered me. I immediately thought of my wife who is an ardent fan of Escargots and will tend to order it whenever she finds it on a restaurant menu – which she does, and not always at French restaurants either. Now my wife lives very comfortably with me here in Japan, not France, so my colleague’s education to the class discounted her – as well as the countless other lovers of the dish in this country, of whom I assume there are many. After all, if there weren’t many, Escargots wouldn’t appear on menus here at all, right? After thinking about my wife, my thoughts turned to people in France. My colleague’s declaration strongly implies that in France all people eat snails. I can’t claim to know all the people in France, so I can’t with certainty dispute my colleague’s claim. But I do know many people in Japan on a personal level who don’t eat sushi, so the comparatible “In Japan, people eat raw fish” would be inaccurate. Am I perhaps thinking too deeply about this? Wasn’t my colleague simply trying to make an interesting yet innocent point of cultural difference to the class? Yes, I’m sure he was. But if we don’t think about the implications of what we say regarding cultural differences to our students, our education most certainly contributes to unhelpful, misleading and inaccurate stereotyping. So let’s consider improving the accuracy of my colleague’s wording. How about “In France, some people eat snails.” This is more accurate, but it still ignores the millions of people all over the world that enjoy the dish. For many teachers the lesson inside the line “Some people eat snails” would not be a lesson on International Understanding because it omits the country name. I would argue that it’s a perfect lesson on International Understanding precisely because it omits a country name. International Understanding has little to with country names, and has everything to do with understanding the people with whom our students share this planet. 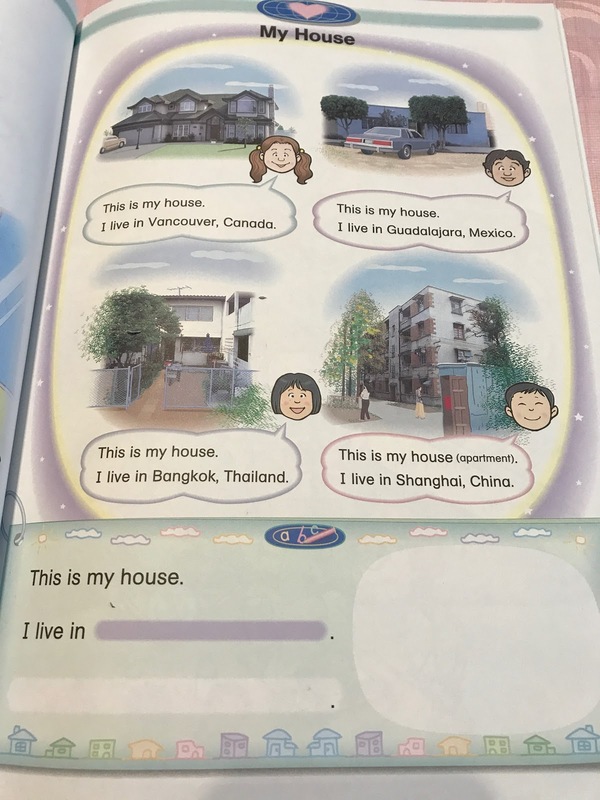 So much of Japan’s International Understanding education is accompanied with lines like “People in this country do this, people in that country do that…” But to understand people on an international level is to understand the similarities and differences of people totally regardless of where they are or where they are from. 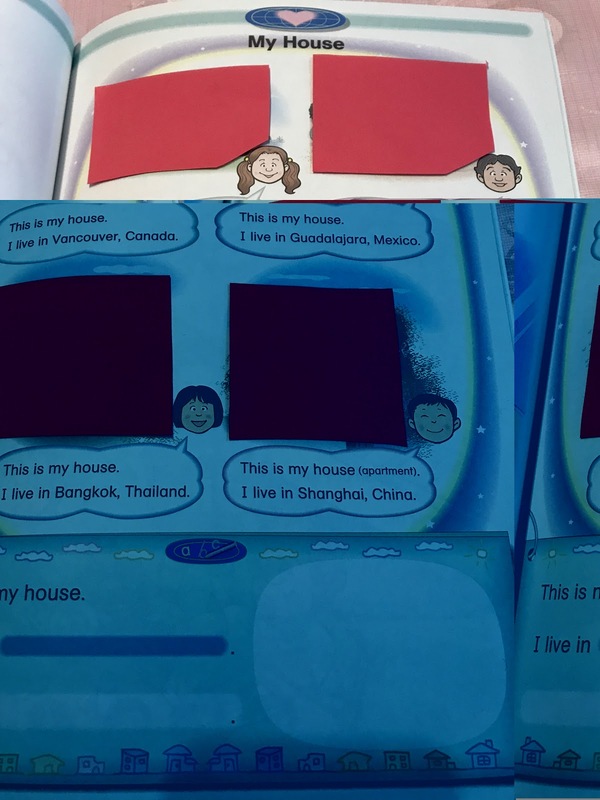 I strongly believe that teachers should make a conscious decision to omit country names when teaching cultural differences of people. The simple phrase “Some people…” is fine. In this way our students can get more accurate information and avoid unuseful stereotyping. 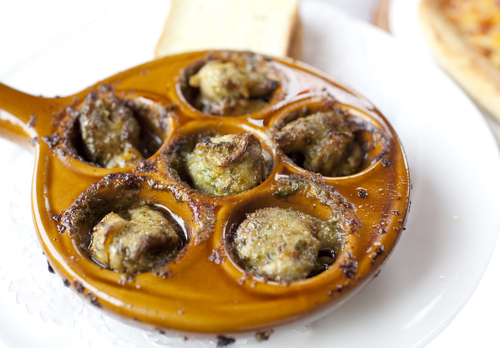 I’m getting hungry… Escargots, anyone? 35. Tomorrow Pg 18! A little at a time!! Almost every activity that I bring to class is designed specifically to MAXIMIZE student output of English. 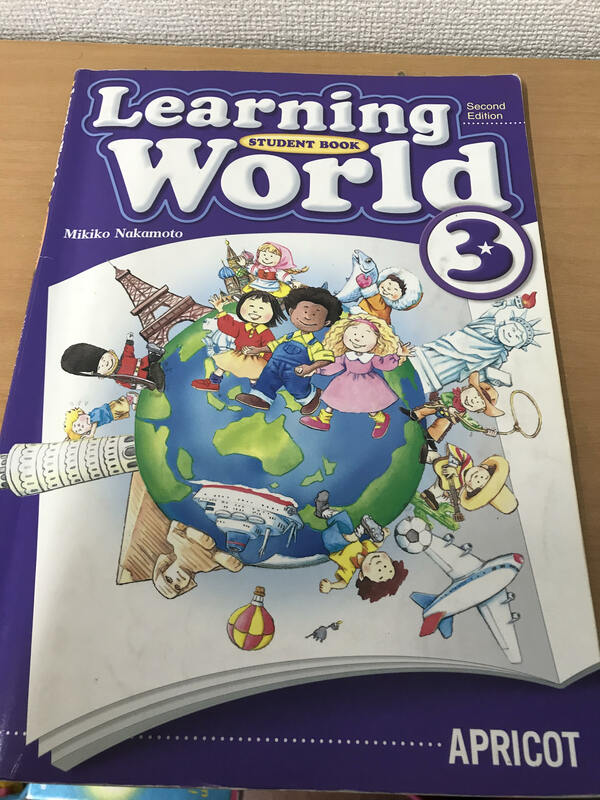 Once students have traveled through the LEARNING WORLD series and have arrived at “TOMORROW” they will have a large background of English to access. 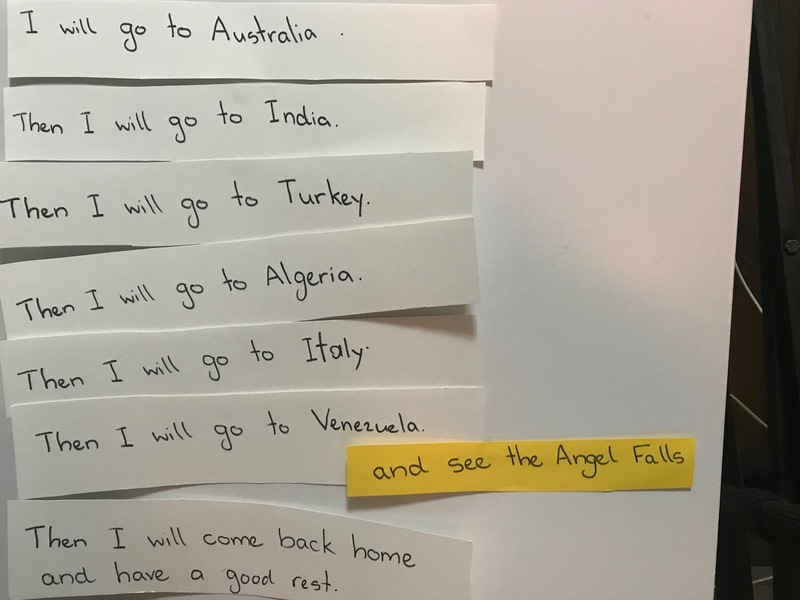 If their learning experience has also given them a positive attitude towards using English, your activity can produce some interesting student output. An important strategy to produce student output is to present a large amount of material a little at a time. In a class of 5 junior high students currently studying with TOMORROW, I recently did the following activity. We first discussed the idea of a “plan”. We agreed that “a plan was a series of steps towards a goal.” We agreed that sometimes we all need to make plans. We also agreed that sometimes we all need to listen to other people’s plans, and give comments. 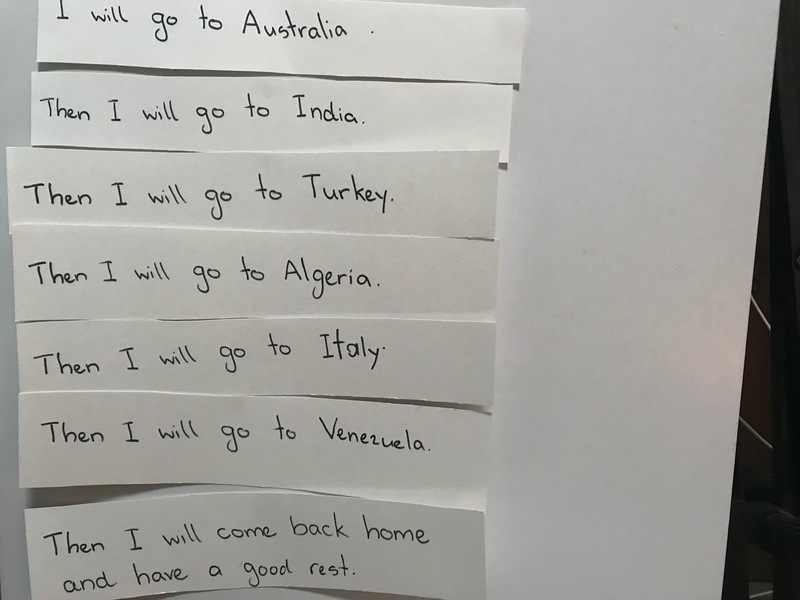 “It’s a nice plan… But… Australia only?” etc. 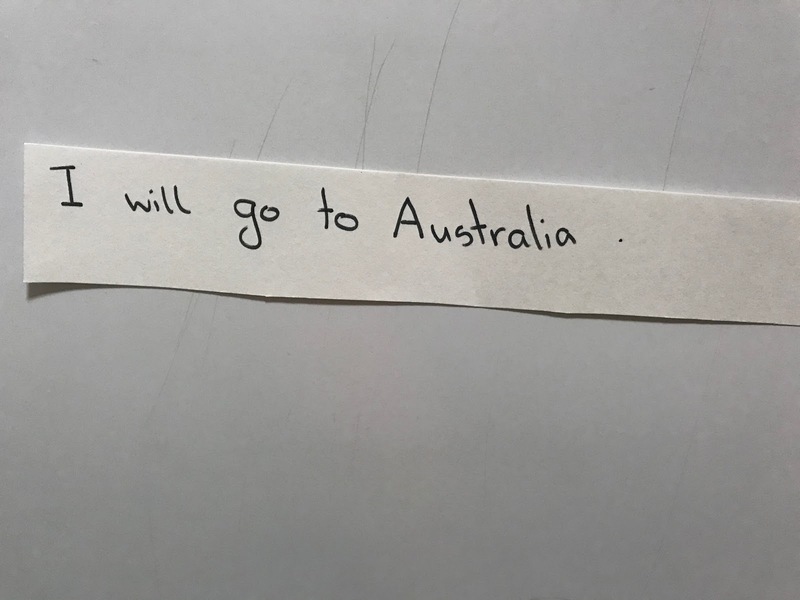 “I will go to Australia. 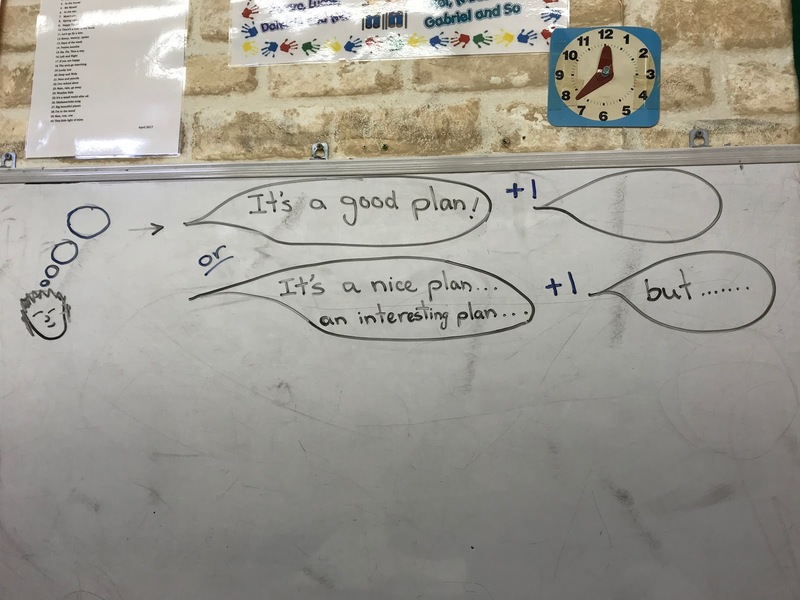 Another student added “It’s a nice plan… But how long will it take?”? One by one I began adding details to the plan. 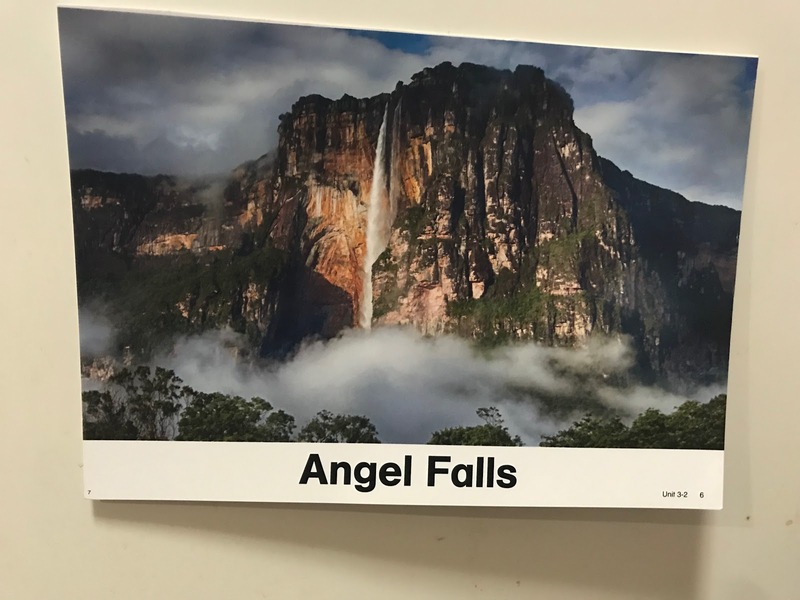 With a photo, I added “and see Angel Falls” to Venezuela. 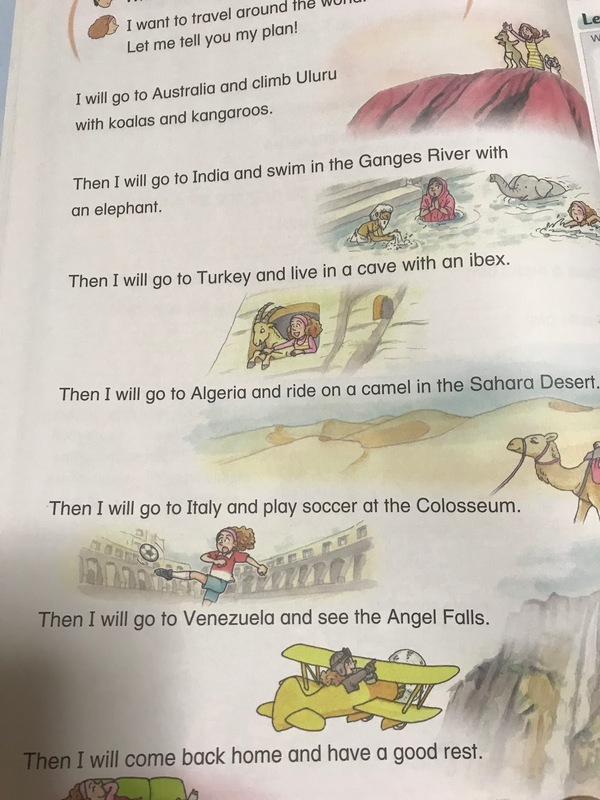 After some discussion, we put “and ride a camel” with Algeria. After some discussion and the picture we put “and climb Uluru” with Australia. After some discussion and the picture we put “and swim in the Ganges River” with India. The plan in its entirety appears on page 18. 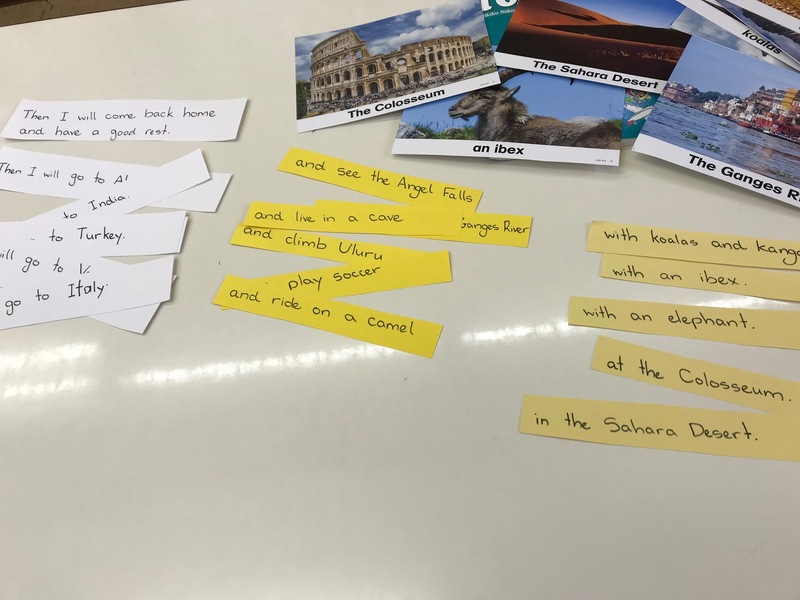 Because this material was presented a little at a time, the students were given the opportunity to use a lot of their own English as they analysed its detail. 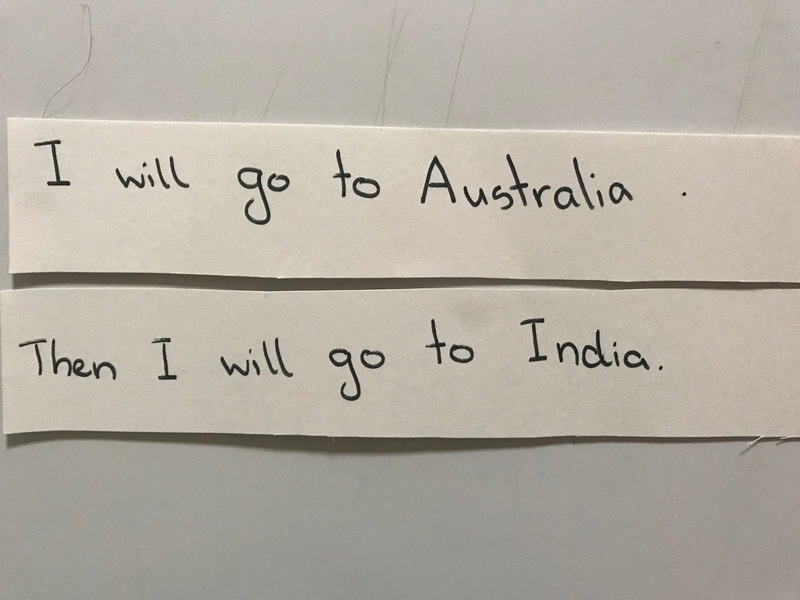 You can imagine the English that the students expressed in response to “climb Uluru with koalas and kangaroos” and “live in a cave with an ibex” and “play soccer in the Colosseum”! For the teacher it involved some preparation, but the rewards in terms of student output are certainly worth it. 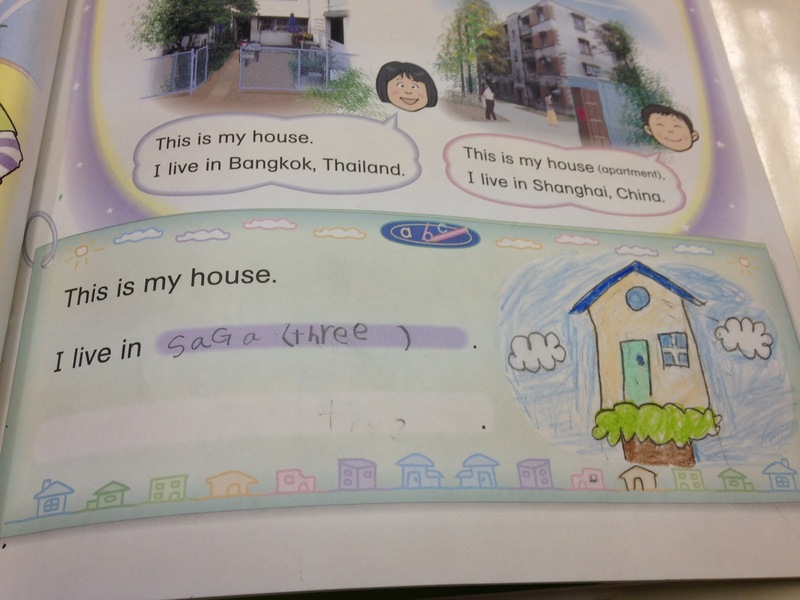 On page 33 of READY, the textbook’s four characters introduce their house. 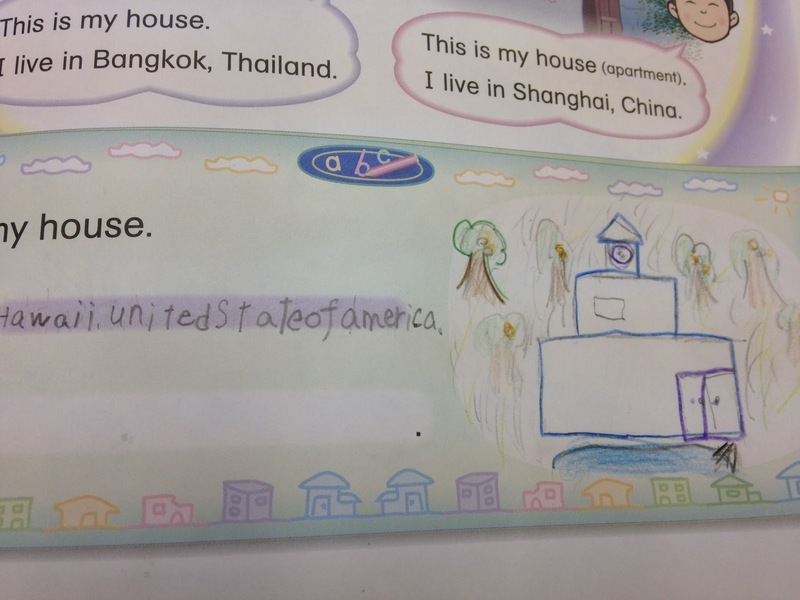 At the bottom of the page, students have the opportunity to introduce their house. 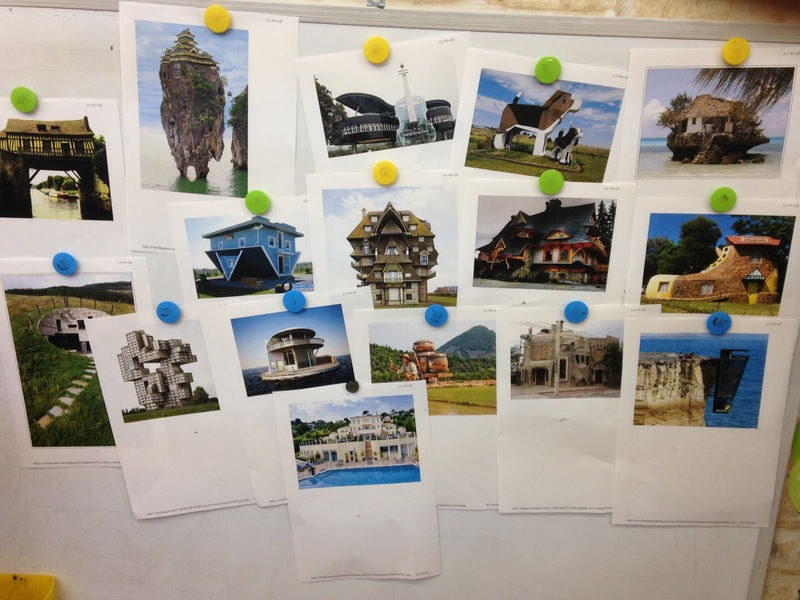 Students’ curiosities can be aroused when you hide the photos. Wanting to know why the photos are covered, their attention is drawn to the written English, and their subsequent need to read it is charged. 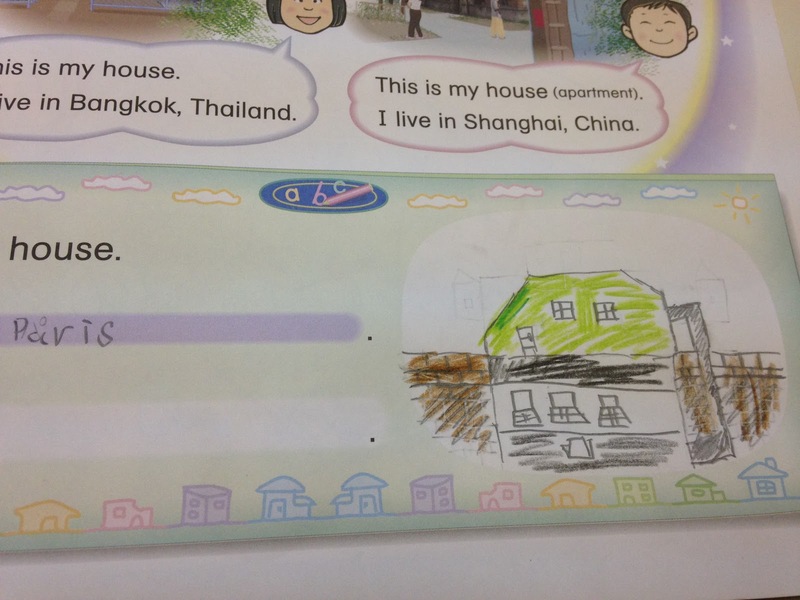 Kaetlyn’s house is quite large compared to Japanese standards, and it may extract interesting comments from students. The process of reading and revealing each photo continues for all four characters. 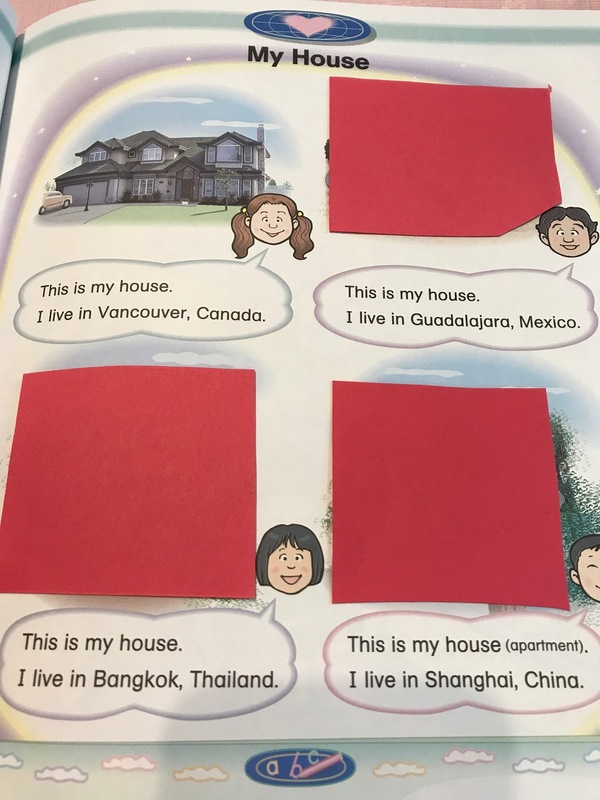 The reading of “Guadalajara” definitely requires our assistance, but at “Bangkok” and “Shanghai”, give students a little time to make an independent attempt. 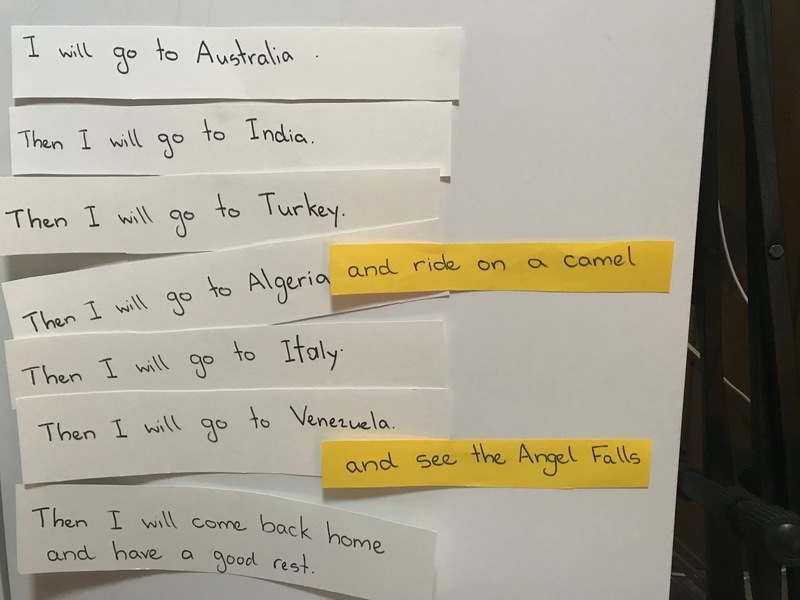 Many students have heard of these cities, and they can employ basic phonics rules to try and read them.